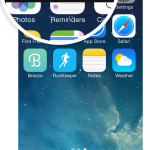 The newest addition to the RunKeeper family is launching on the App Store. 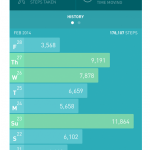 Unlike RunKeeper, which focuses on when we work out, Breeze covers the rest of the day. The free app gives you simple insights into your daily routine and motivates you to make fitness a bigger part of your life. Breeze, however, is more than a pedometer. 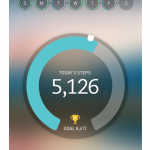 It offers daily goals, motivating notifications, and celebrates big moments and achievements. Always-on tracking: Breeze runs in the background, automatically tracking all your movement throughout the day, without any input or work needed from you. 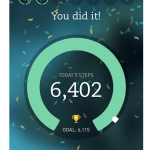 Helpful reminders: Well let you know how close you are to hitting your goal, when you still have time left in the day to get more steps in. Context around your behavior: Timely notifications on your long walks highlight all the places in your day where youre making smart choices for your health. Simple recaps of your progress: Every morning starts with a summary of what you did the day before. At any point you can look at your profile to see how a days steps compares to previous days, weeks and months. … and it does this all without draining your battery! Breeze is initially available on the iPhone 5s only (and future models) that have the M7 co-processor, which efficiently tracks motion in a way that limits the drain on your battery. Available exclusively on the iPhone 5s, the free Breeze app is available to download here. The freemium RunKeeper app is also available.